Florida State Rep: Dolls Are Possessed By Demons - Joe.My.God. 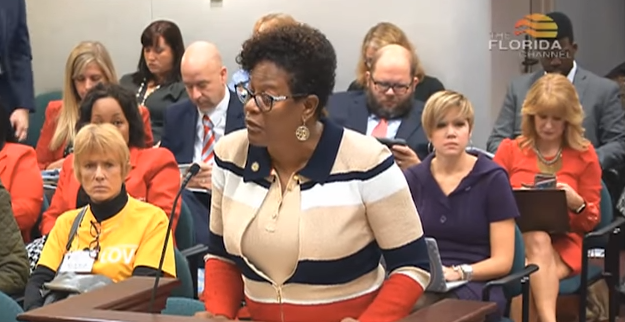 Democratic Florida state Rep. Kim Daniels, an exorcist preacher whose bill requiring all public schools to display “In God We Trust” goes into effect this summer, has some thoughts about dolls in her new book on witchcraft. In writing on fetishism and idolatry, Daniels goes back in history to when dolls had spiritual value attached to them. In religions and occult practices, dolls were used as supernatural intermediaries to confer favor, represent gods and enact witchcraft. Daniels warns readers to avoid things with occult origins, as they give the enemy access points into our homes. The subtle yet familiar influences can be especially damaging because they can go undetected in your life for years. 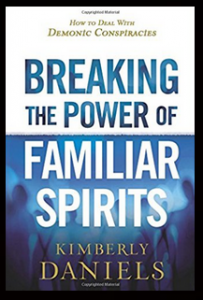 Breaking the Power of Familiar Spirits shows why the church must no longer view the world with only natural eyes. Christians must see what hides within the spiritual realm.